Hans Christian Andersen first penned his heartwarming tale of perseverance and transformation in 1843. 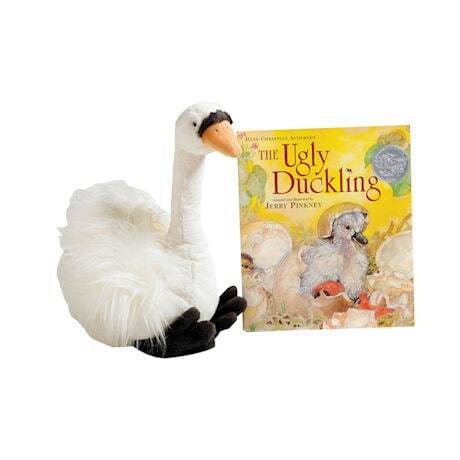 We're offering a keepsake hardcover version (adapted and brilliantly illustrated by Caldecott Honor-winner Jerry Pinkney) along with an adorable, supersoft 19"-tall plush swan, perfect for snuggling with during story time. Brimming with hope, this wonderful story teaches children that sometimes it just takes a little patience and time to discover who you truly are. For ages 4 to 8. See The Ugly Duckling here.